You are here: Home / Friday / Is This The New Normal in the Charlottesville Real Estate Market? 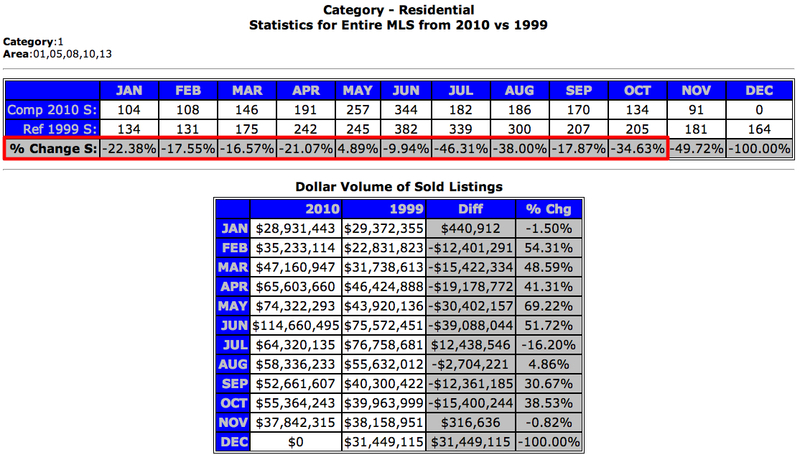 Is This The New Normal in the Charlottesville Real Estate Market? I’ve been wondering for a long time what the new normal in the Charlottesville* real estate market is going to look like over the next few years. Today’s is a post posing a question rather than positing an answer. Prices aside, is this volume the “new normal” for the Charlottesville market? What are the impacts on the market, the number of agents (answer: very little – the Charlottesville Area Realtor Association is poised to lose but a handful of Realtors next year, out of about 1,000, a relatively small percentage of whom are productive ), the number of productive Realtors, the number of brokerages. The number of Realtors nationwide may be forecast to drop, but I don’t see that happening. Of course, the predictions that the number of Realtors will drop have been ongoing. Another question – what will the net migration trend be? The Charlottesville MSA added about 13,467 people via net migration from April 1 2000 to July 1 2009. Source: Weldon Cooper Center. I’m not through sorting out what the data means, but I’m still trying. Jim, I adjusted the ’99 $$ volume figures for inflation, and re-did the percentages (using every other month). The % changes are a little different with that adjustment. For Jan, Mar, May, July, Sep, I get 0.75, 1.13, 1.29, 0.64, 1.00, Still not a great story, since 1999 to 2010 inflation rate is 1.31, and all of these lag that…but not as worrisome as I thought at first. May gets a silver medal.